Fundraising efforts are under way to generate £5.3m to build a new Scotch whisky distillery and heritage centre in Cabrach, on the southern edge of Moray. Spearheaded by the Cabrach Trust – which was founded to help rural regeneration in and around the Cabrach region – the money will be used to transform Inverharroch Farm into a visitor attraction highlighting the region’s illicit past of illegal whisky distillation and smuggling routes. A planning application is due to be submitted by the end of 2016 and, if granted, the distillery is forecast to be operational by 2020, initially creating 10 new jobs. If successful, the distillery plans to produce a malt whisky, the first bottling of which is forecast to be ready by 2025 – approximately five years from the site’s first distillation. Grant Gordon, chairman of the board of trustees, said: ‘Our vision is to help develop a thriving community that offers opportunities for both residents and visitors to enrich their lives by enjoying and sharing their surroundings. ‘We believe that the distillery, heritage centre and the associated amenities will establish the Cabrach as a must-see in the north-east, bringing in new people and sustaining the local economy. 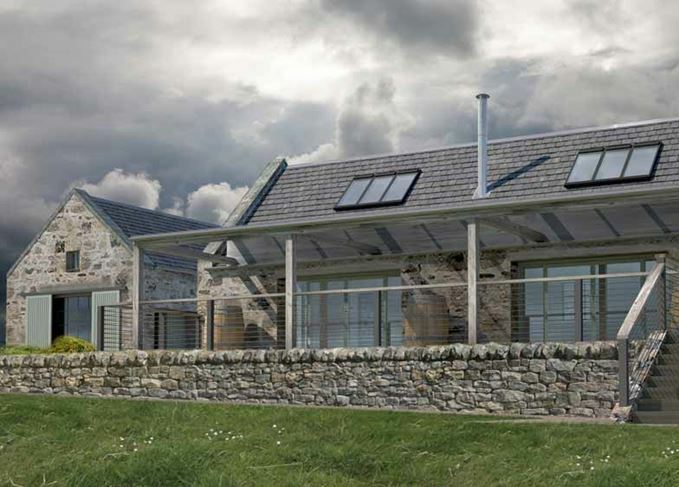 Plans for the new distillery and visitor centre will make use of the existing farm steadings and have been created by a team led by architects AKA Ltd and interior designers Surface ID. The heritage centre will feature a café, exhibition space for public and private hire, and a gift shop. The Cabrach Trust is also in the process of acquiring other buildings in the area to renovate into accommodation and training spaces – a local schoolhouse will be able to house up to eight people, while a former primary school (currently home to the Cabrach Trust) will be used as a warehouse and offices. Meanwhile, the old Cabrach Hall will be used for training and meetings, and will be available for hire to local community groups.. So far, plans for the distillery have been funded through grants from foundations and private individuals, and a ‘major’ grant application will soon be submitted to the Heritage Lottery Fund. The £5m plant and heritage centre will be built in an area famed for its illicit stills. The Spey whisky producer has outlined expansion plans following a £2.3m funding boost. The Speyside distillery’s new single malt is finished in virgin oak for Bourbon-inspired sweetness. The Speyside distillery is ‘pushing boundaries’ in a first for the Scotch whisky industry. The £800 single malt is a vatting of five different vintages, dating back to 1978.